I hope you all had a fabulous holiday season and brought the new year in style. I decided to wind down the year quietly; taking some much needed time to myself. Emotional and creative rejuvenation was definitely the modus operandi. No traveling, a few visits with friends, but mostly just organizing the madness that had erupted in my office from all the year’s projects, hitting the gym and yoga studio as much as possible, massaging and steaming all my anxieties away, and letting go of the pressure to achieve and accomplish. If only for a few weeks. Alright, there was one vinyl party I threw into the mix because I finally bought a record player, and in the days prior to and after, there was a lot of listening to music. Just listening to music. Not as background noise while doing tasks, but really listening. Something about flipping vinyl and putting the needle on those records that was really good for the soul. But hey, it’s 2016! And it’s time to get back into it. 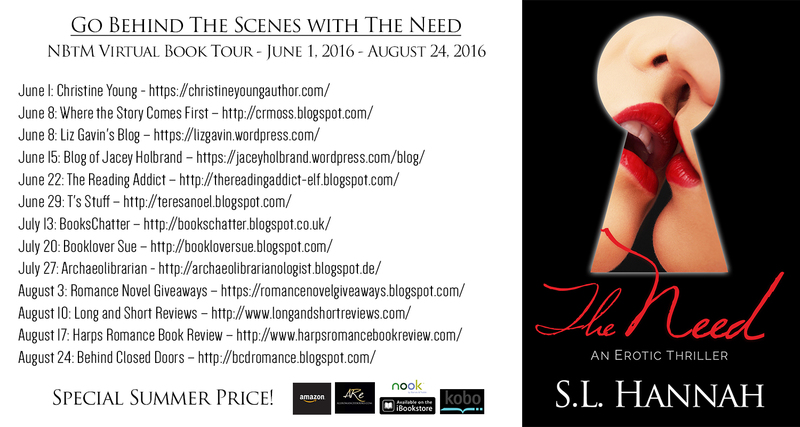 The first IT of the year being an eBook promotion for The Need. This Friday, January 8th, through Tuesday, January 12th, you can download an eBook copy of The Need for $1.99 everywhere the eBook is sold (Amazon, All Romance, iBooks, Nook, and Kobo). That’s a 60% discount off the regular eBook price. If you haven’t gotten a copy of The Need yet, this is the time to do it. If you have, but know some friends who haven’t, tell them to get in on this special 5-day promotion.